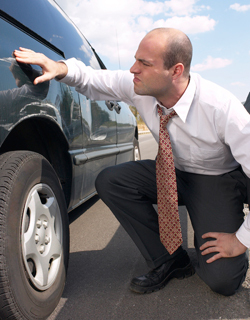 Its tempting to minimize your own injuries because your car has sustained little or no damage. Research shows that occupants can be injured considerably more than what youd expect from a dented fender or a broken taillight. If you visit the emergency room, you may be given a clean bill of health because you dont have any broken bones. You might get a prescription to reduce the muscle spasms caused by structural changes in your neck or lower back. But you dont have a drug shortage! After what you’ve been through, you’ll need a health professional that truly understands soft tissue injuries, spinal biomechanics and rehabilitation strategies. Call a chiropractor! Whether it was a little incident in the parking lot, or two cars attempting to occupy the same space in an intersection, you need a professional who knows how to work with lawyers and insurance companies. If youve been in a car accident, locate an Association member chiropractor near you. Chiropractors successfully help car accident victims all the time. It’s practically routine. A: Whether youve been in an accident, stressed at work, or over-exerted yourself in the garden, your body is constantly adapting to the environment. When your capacity to adapt is exhausted, symptoms can appear. This can take days, weeks, months or years to occur. A: Many chiropractic patients report restored spinal curves and an end to their symptoms. Those who delay seeking appropriate care often discover that scar tissue and spinal instability lengthens full recovery and often requires periodic chiropractic checkups.